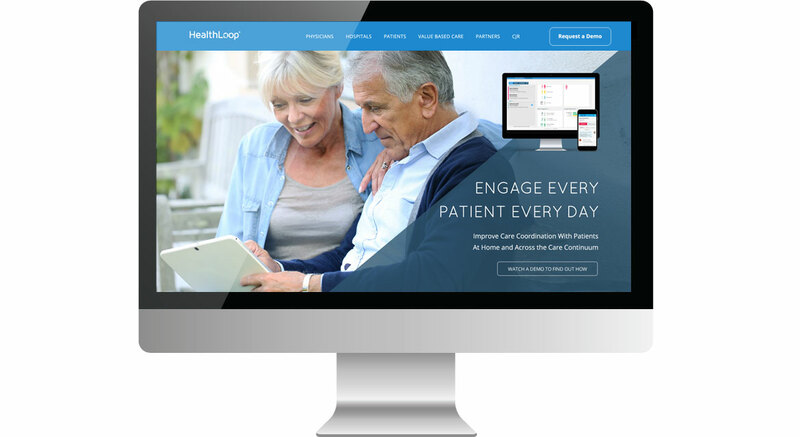 HealthLoop is a cloud-based platform that automates follow up care. They keep doctors, patients and care-givers connected between visits with clinical information that is insightful, actionable, and engaging. Their peer-reviewed follow-up plans automate the routine aspects of care while tracking patient progress and monitoring clinical areas of concern combined with analytics engine that sifts through and filters the deluge of patient-generated data in realtime. 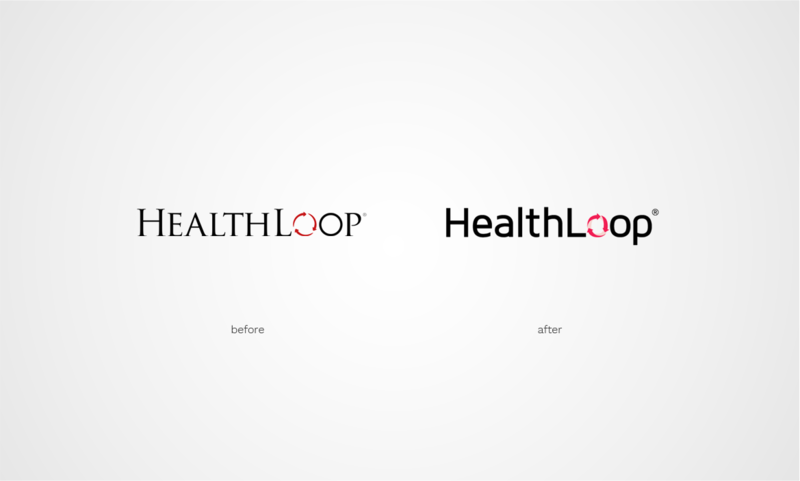 When the time came for HealthLoop to take their brand to the next level, they called on dystrick. Starting with their brand messaging and imagery, we created a creative platform that extended across their tradeshow presence, their collateral system, powerpoint templates, and last but not least, their new online presence that was built with custom WordPress designs and functionality. This included custom graphics, icons, diagrams, and much more. For more information, please contact us. We created a more modern logo, all while keeping their existing customers & employees in mind. The print collateral system was bright, colorful and modern, and kept close to the new brand established by dystrick. 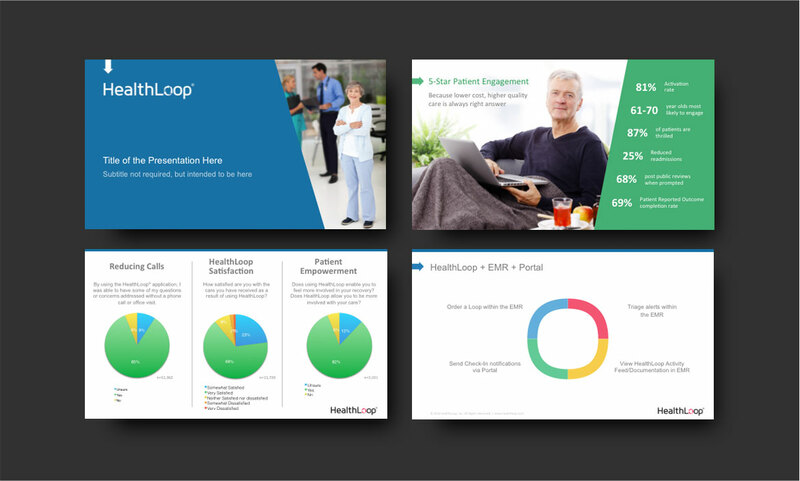 The new and improved powerpoint presentation helped keep their look and feel consistent and modern. 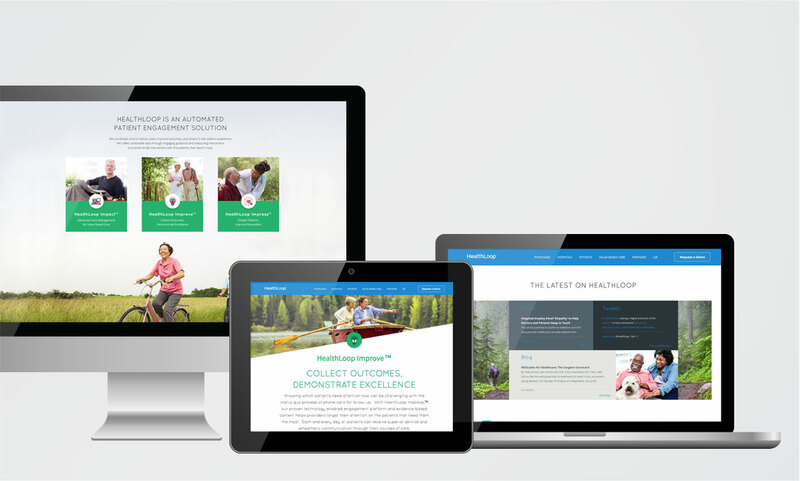 The website was modern, completely responsive, and led the way for their new and improved brand look and feel. With most of their customers searching on mobile devices, the site was just as beautiful and user-friendly on phones. 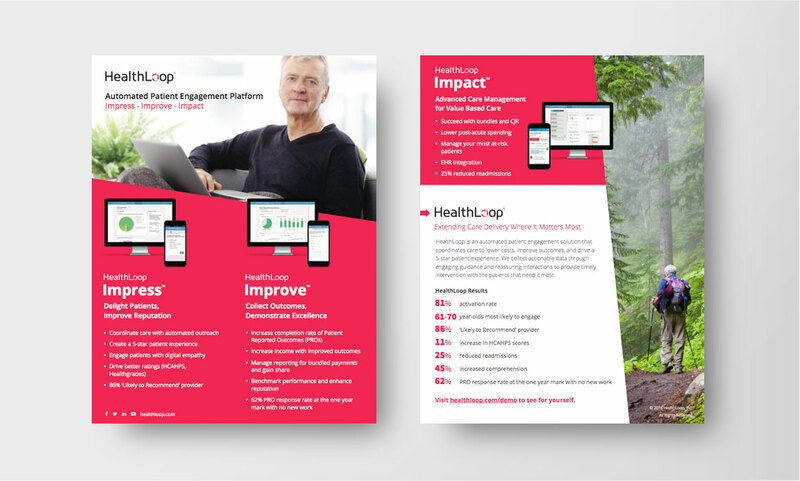 Healthloop’s event graphics and booth blew their competitors out of the water. As stated by their own employees.